Join me for a (recorded live) webinar session devoted to the needs and perspective of the survivor of sexual abuse/assault, and who is the Client of sexual healing. We will be exploring the issues and concerns that survivors face in safely getting the help they seek. If you are someone who has been considering working with a sexual healer and have questions or would like a more in-depth understanding of the process, what to expect in working with a healer and what to watch out for, then please join us. We will be considering the topic of Consent and how to meet a survivor-client’s unique needs. We will also be looking at the healer’s and client’s contribution to the Healing Alliance. If you’re a healing facilitator, therapist, coach or counselor who works with emotional trauma from abuse or assault, this session will give guidance with How and When to have your client’s Consent. And, #2, know the signs of emotional shock and what to do when it happens. Survivors will receive 2 techniques to use in dealing with feeling “frozen” mentally/emotionally and when being triggered, or fragmenting. 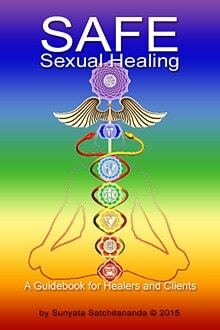 Healers will receive practical suggestions in stewarding sessions and supporting their client’s need to safely heal. Survivors will find out what to expect and how to get the most out of working with a sexual healer in a session and in a sexual healing program. In 2007 I synthesized my knowledge of the sexual-science of Tantra with 27 years of spiritual and family counseling and became certified a Tantric Healer so I could more directly address the wounds of sexual abuse and assault my clients were attempting to heal from. My mission is to help broaden appreciation of sexual healing and to foster trust and acceptance in safe sexual healing methods, treatments and healing facilitators so that everyone who desires/needs sexual healing can safely get the help they seek. This webinar is part of a series designed to create more public awareness, knowledge and acceptance of safe sexual healing.